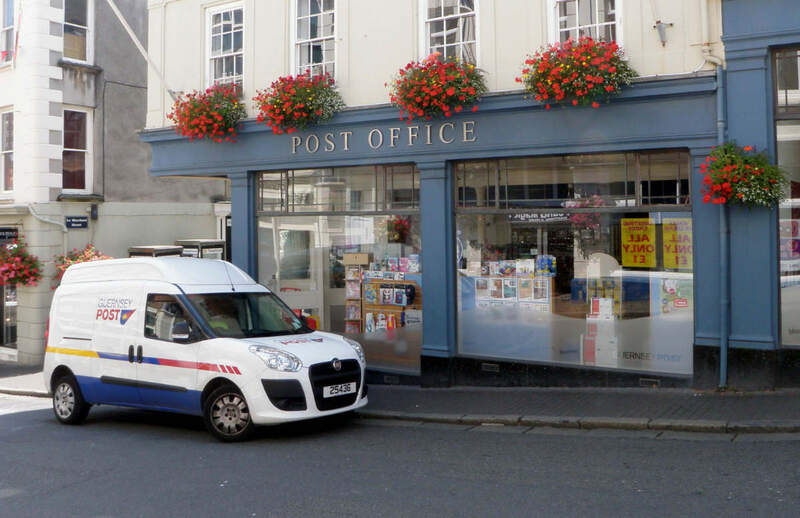 Guernsey Post Office is older than you think. It was established at the end of March 1794. The French Revolution was ongoing, it was the year Nelson lost his sight in his right eye and George Washington was still president of the United States. Yet, to claim that Guernsey had no postal service before this date would be wrong. It’s just that what it did have rather ad-hoc and by no means guaranteed. Without any official arrangement for transporting mail between the mainland and Channel Islands, enterprising individuals set up their own collection points. They handed outgoing mail to the captains of vessels heading to the mainland, and took back any letters arriving on the islands for local distribution. Anyone sending a letter was charged twice. They paid once for the services of the local who liaised with the captain, and again for the captain. There was no fee to be paid to the British postal system, as recipients, rather than senders, bore the cost of mainland mail delivery in the 18th century. In the end, then, sending a letter involved two separate people paying three different parties. The postal system was formalised on 28 March 1794 through a British Act of Parliament. This established the Guernsey Post Office, with Ann Watson appointed its first postmistress. She operated from her home in St Peter Port High Street. The existence of an official Post Office gave islanders and mainlanders a degree of confidence that anything they sent would arrive in a timely manner, at a set price. Mail would be conveyed to and from the mainland once a week. It was almost another sixty years before Guernsey got its first postbox, though, in 1853. Guernsey Post Office became Guernsey Post in 1969 as part of a wide-ranging overhaul of the British postal system. Guernsey Post Ltd was subsequently created in 2001 and awarded a licence to operate in the Bailiwick.